To print an invoice firstly either create a sale or go view an existing sale. Then click on the Invoice Number in your Sales list. This will fire you over to the View Sale page where you can see all the sale's relevant details. 1. 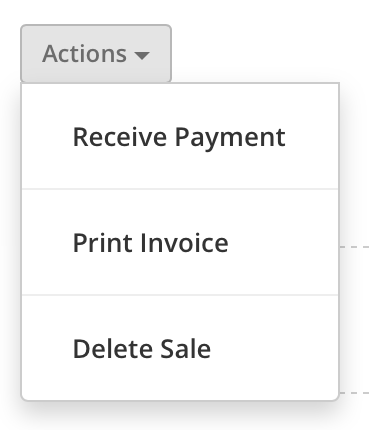 Click on the Actions button and select Print Invoice from the dropdown list. 2. If you haven't yet completed your Campus setup you'll be prompted to do that (click on the Add Information Now button). 3. If you have completed your Campus set up the invoice will appear ready for you to print directly from your browser. Go to the Contacts module, search for your contact and go to their View Contact page by clicking on their name in the Contacts List. If your contact does not have an email address you'll be prompted to add one. If you have not yet set up your SMTP details you'll need to do that too. Click on the link to do that. There's an article here to walk you through that process. 2) Click on the paperclip button (in email pane) and the Add Attachment window will appear. 3) Now you just need to click on the Invoice tab and choose the invoice you want to attach from the dropdown menu. 4) Then click the Add Attachment button and the Invoice will be attached. 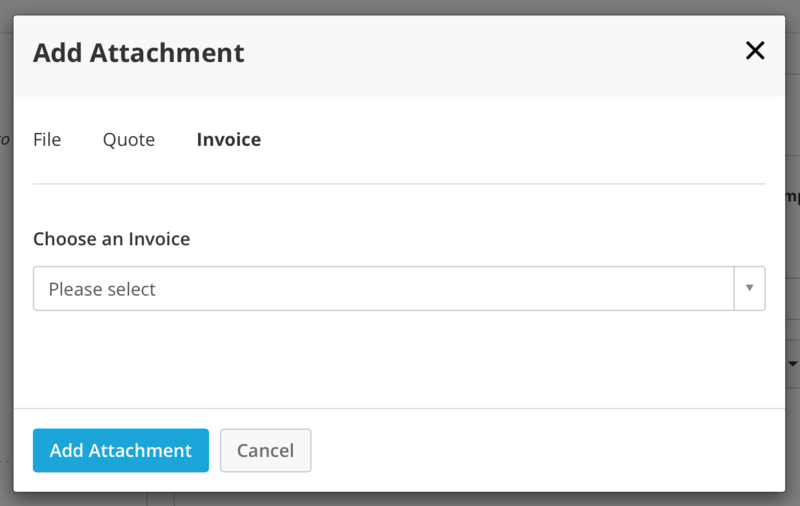 5) You can now write the email to go with your invoice and send it to the client.